COGS is a remote call control gateway that leverages Microsoft Lync 2010/2013 remote call control capabilities without the need to upgrade or replace PBXs. 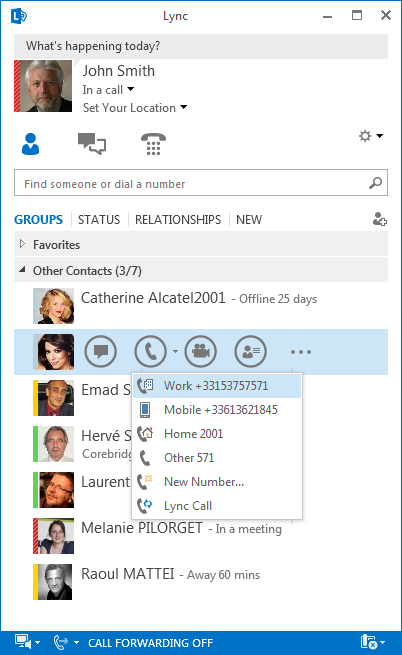 With COGS, users can control their desk phones and smartphones from Microsoft Lync client applications. Supports most corporate PBXs such as Cisco, Alcatel, Avaya, Aastra, 3Com, Ericsson, Nortel, NEC, Siemens, Panasonic, Mitel, IPC, Etrali, Philips, Samsung.. Leverage Microsoft Lync servers for telephony control without customers having to upgrade or replace their PBXs. Requires Microsoft Remote Call Control mode (RCC). Implement Microsoft unified communications workflows and processes consistently across disparate telephony infrastructure. Display phone presence states in Microsoft Lync client application whatever the device type is : Desk phone, DECT, Headset or Smartphone. No client installation is required on user desktop. Microsoft has designated COGS as the preferred solution for Lync integration in RCC mode. 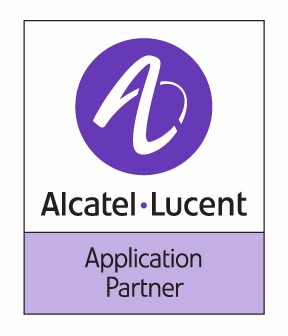 Alcatel Lucent has Certified COGS for the integration of Lync Skype for Business with Alcatel OXE PBXs. Make call to internal or external number by using the company existing telephony infrastructure. Answer incoming calls from external and internal numbers. Blind Transfer, Attended Transfer and Call Divert to external and internal numbers. Video Call, Chat and desktop sharing. Delivery of telephony presence whatever the device type is (including mobile phones).